"In Malta, you'll explore 7000 years of history yet live passionately in the present. You'll span the millennia with an astonishing array of things to discover. And wherever you go, the Islands' scenery and architecture provide a spectacular backdrop. The colours are striking. Honey-coloured stone against the deepest of Mediterranean blues". "The Fortress City, Citta' Umilissima, "a city built by gentlemen for gentlemen". 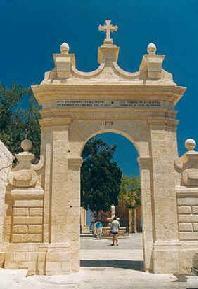 Valletta has many titles, all recalling its rich historical past. It is the "modern" city built by the Knights of St John; a masterpiece of the baroque; a European Art City; and a World Heritage City. But these are just some of its faces and fortunes. Valletta is also Malta's capital city: a living, working city, the administrative and commercial heart of the Islands. Nowhere in Malta is the life of the Islands reflected more than here. The city is busy by day, yet retains a timeless atmosphere. The grid of narrow streets house some of Europe's finest art works, churches and palaces. Punches were thrown and there were some moments of panic for revellers at a Paceville outlet soon after the new year had begun after many revellers missed their coats. The venue in question is a big one where thousands of revellers had welcomed the new year in. Soon after the new year had been rung in, as people made a move to go home or somewhere else, there were far to many people for the cloakroom attendants to cope with. As a result, it seems that many made off with coats and jackets which did not belong to them. It was when the whole cloakroom looked bare of coats and there were people still asking for their outer garments that people realised their coats had been taken by someone else. This was when tempers quite understandably flared up and some people, some the worse for their drinking, became quite aggressive, in the words of people who were present. A man employed as a road marker for Valletta council was reprimanded today for shirking his duties. It is reported that after a heavy lunch, Stelios Ingredios "cut some corners" during his afternoon shift.